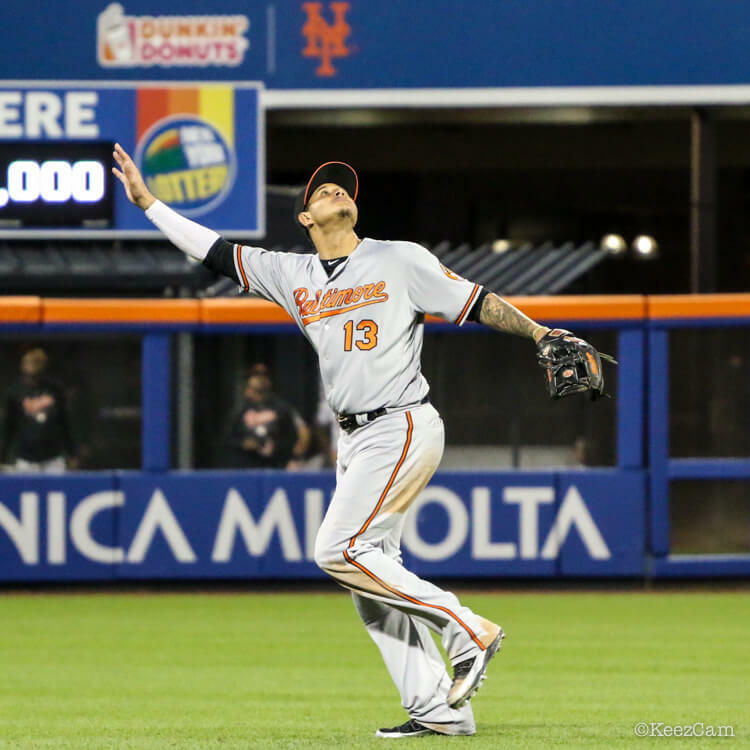 Manny Machado moves in and out of gloves liberally, similar to Javy Baez. He’s varied his web, too. Most often he uses an I-Web, but he’s worn Rawlings’ V-Web, and started out 2018 with a blindingly orange modified One-Piece with platinum labels that only Manny can get. 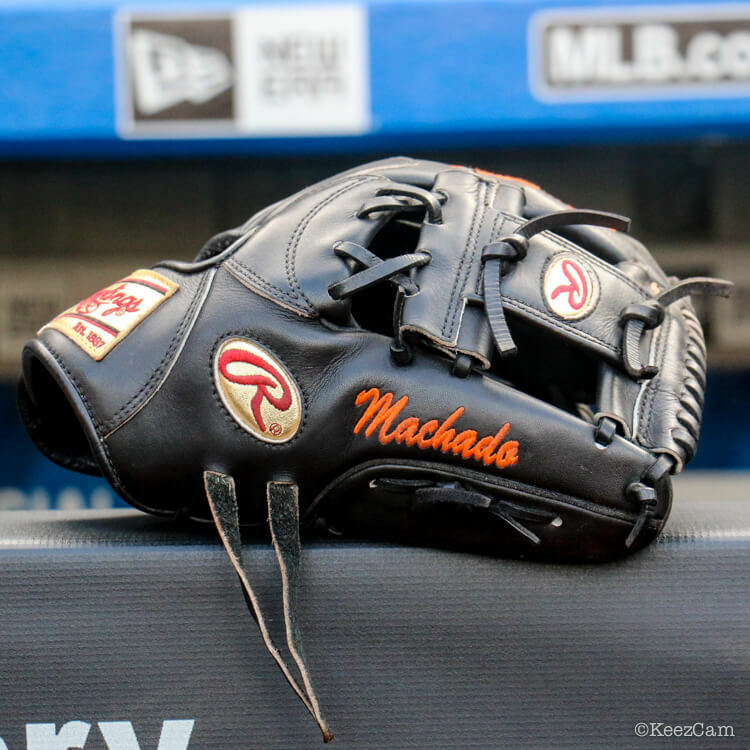 Its a PRONP5, and lately, Manny’s game glove is black with gold labels. Shop the black one here.